Petrie Island Canoe Club – Come Paddle With Us! 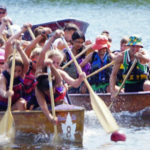 Petrie Island Canoe Club, located in Ottawa’s East End (Orleans) is a non-profit, volunteer-run sports club, serving its community by providing top-quality paddling programs to people of all ages & abilities. Spring and Summer Camp Registration Now Open! Have a Great Summer – COME PADDLE with US!! Do you love the outdoors, and want your kids to love it, too? Our canoe-kayak Summer Camps will have them playing outside all summer! Treat your kids to their best summer ever- learning new skills, meeting new friends, and playing outside all day long! 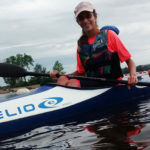 Petrie Island Canoe Club offers premium quality summer camps while keeping programs affordable! Petrie Island Canoe Club’s Two_week Beginner Summer Camps teach fundamental paddling skills and provide a comprehensive physical activity program that involves paddling, balance drills, games & activities in a positive, fun environment. They are the perfect introduction to the sport of paddling! Your kids will spend full days having fun and making friends while being immersed in the natural beauty of Petrie Island. Campers learn all the basics of Sprint Canoe-Kayak, building balance and confidence on the water, while exploring the river and canals around Petrie Island’s nature reserve. Every day, as we encounter different native species, we learn about the island’s flora and fauna. In partnership with Friends of Petrie Island, we incorporate ecological stewardship/education into each session. The 2-week program wraps up with a fun, low-key, novice regatta(race). Youth Racing Competitive Summer Camps are offered at two competitve levels, Beginner & Intermediate Summer Competitive (Ages 8 to 14 Years) and Advanced Summer Competitive (Ages 15 to 18 Years). Our Sprint Racing Summer Camps are designed to develop boating, teamwork, and athletic skills and follow the Canada Sport for Life Long Term Athlete Development Model. While having fun with their friends on the water, Youth Racers will have an opportunity to compete with their team on most weekends in regattas in and around the National Capital Region. Our coaches will keep a close eye on each paddler throughout the summer to make sure that they remain in a group that is both fun and challenging. If you or your child want to know more about PICC‘s Summer Camps , you are encouraged to attend our Open House on June 22nd. New in 2019! Take advantage of one low price for four seasons of training. Offered for both Intermediate Competitive and Advanced Competitive Levels, your budding athlete will train Year-Round with Petrie Island Canoe Club’s qualified coaches to achieve maximum results both on and off the water.